Live and Uncensored! 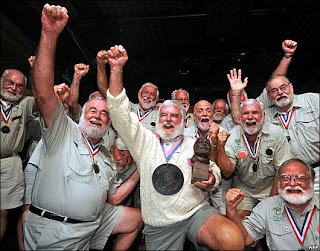 : Ernest Hemingway Lookalikes! They like it when we call them Big Papa. It's good to know we'll all have something to aspire to when we're old and beardy.